The mobile communications market has been experiencing a global upswing. Smartphones, in particular, are appealing to even more consumers. This year, it is anticipated that around 400 million smartphones will be sold around the world. Above all, in Western industrialized nations, this boom is occurring at the expense of feature phones, which do not offer the diverse range of smartphone functions. 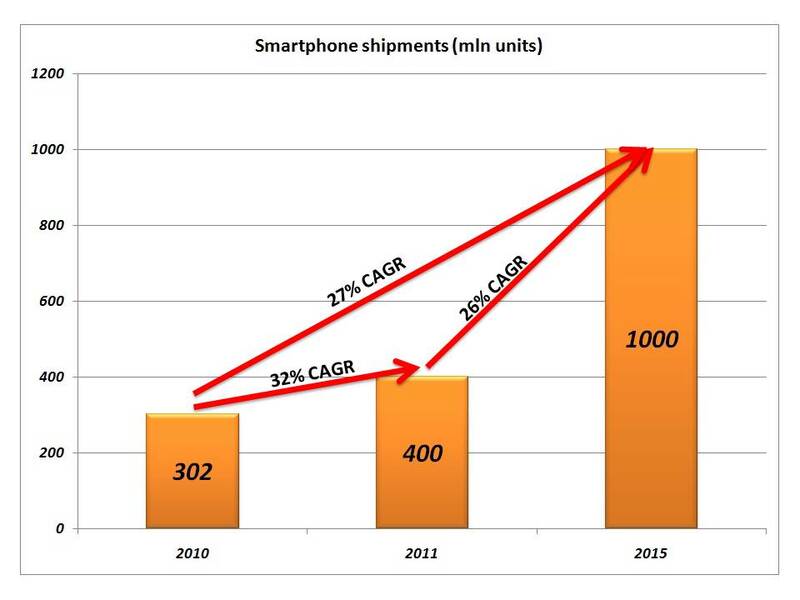 Juniper in its latest research, forecasts that the number of global smartphone shipments will reach one billion per annum in 2016, up from 302 million in 2010. The global mobile communications market is currently in a period of transition from standard mobile phones to multimedia devices, which make accessing the internet easy and appealing. Consequently, it is important that manufacturers position themselves as innovative smartphone providers to avoid being trapped in the stagnant declining feature phones market, which also generates weaker sales on the whole. In the first half of 2011, the number of smartphones sold noticeably increased in Western industrialized countries and Asia in particular. The share of overall sales of these devices in South-East Asia and China (including Taiwan and Hong Kong) already stands at 22% and 29% respectively. As a result of lower purchasing power and the focus of infrastructure networks on vocal transmission, the share of sales attributable to smartphones in emerging and developing states is lower, at less than 10% in India and below 15% in sub-Saharan African countries. The majority of sales in these regions are still generated by feature phones. Industry and network operators are expanding their range for consumers who are looking for a smartphone in the entry-level segment; this includes offering comparably cheap models, affordable monthly flat rates for mobile internet access and prepaid services. 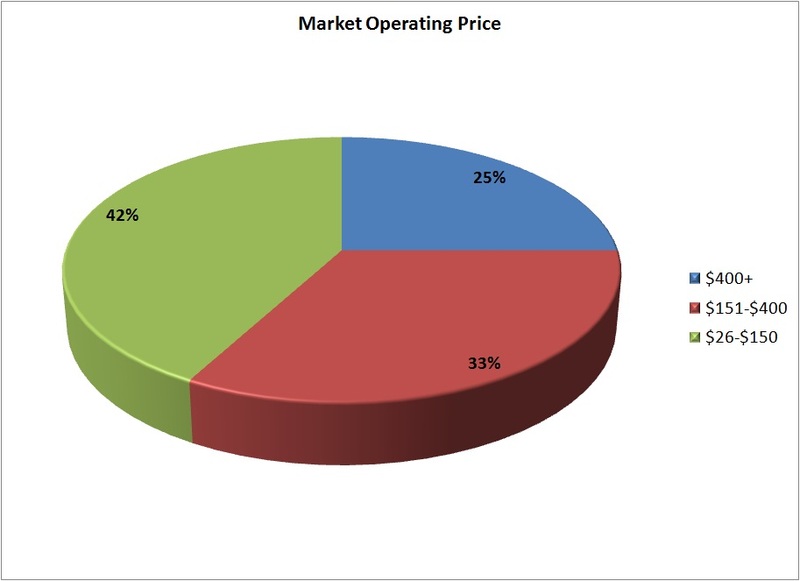 At the same time, the Android open operating system has further increased its market share, with almost 43% of smartphones sold in June 2011 using this system. Android has also removed entry barriers for new operators; this has resulted in a rapidly expanding diversity of products and intense competition, which ultimately leads to falling prices. Juniper expects 42% smartphone sales in 2015 from under the $150 price smartphones. The availability of low cost smartphones in this price bracket will be the smartphones big push into volumes and this will especially be true for South East Asian Economies. The operator subsidies in lieu of data and voice usage and lock in period with the Operator is expected to further sweeten the Smartphone proposition for users. With growing interest in online data storage, known as “cloud computing”, Mobile internet access will become increasingly popular due to the modern, high-performance 4G networks. 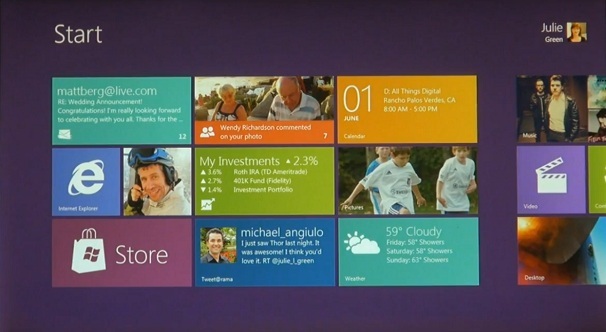 What do we make about Windows 8, Microsoft’s biggest Windows refresh since Windows 95. Back then Computers cost a fortune and now… Now, Microsoft wants to update Windows for a consumer technology world that is obsessed with online services and touch-centric devices such as the iPad and Android smartphones. •	File management basics such as copy, move, rename, and delete functions, which make up 50 percent of Explorer’s usage in Windows. puts all your basic file management functions into one window instead of having separate windows for each function. This will make it easier and more efficient to handle moving around several large files at once, such as photos and videos. •	Finally from the user perspective, Windows 8 has clubbed the oft repeated actions in file management into intuitive tabs: Home, Share and Views which contextually club actions in and around the browser for more efficient file management, ease of use and intuitive interface usage. 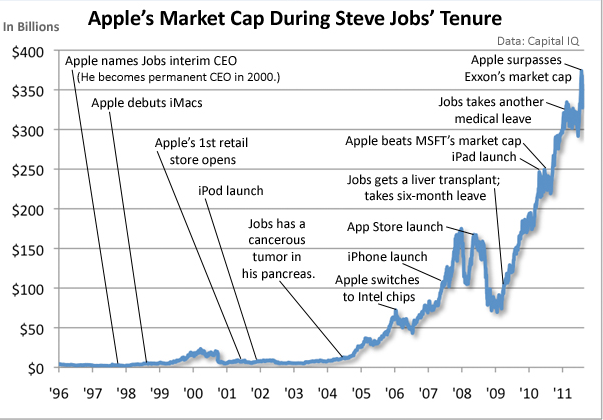 As of this morning, Steve Jobs resigned as the CEO of Apple. The last few years of his leadership were instrumental in shaking up the technology status quo in animation, music, mobiles and computing .Just ten years ago, Sony, Panasonic, Motorola and Nokia seemed savvy, nimble consumer electronics powerhouses. Steve Jobs exposed the key weakness of these leading companies; their lack of comprehension about user interface development and content delivery. Many of Apple’s recent break-throughs look hardware-based – but flowing underneath is usually a deep vein of insights about software development. Synaptics offered its experimental new touch-screen technology to Apple, Samsung, LG and Nokia in 2005. Nokia balked at the $50 price tag – it was led by men who thought that high margins can only be maintained by keeping display price under $4.50. Samsung and LG went for this new technology – but did not have the foresight to develop a true OS and multi-touch UI to utilize the new display break-through. As a result, only Apple launched a phone in 2007 featuring not only a large touch screen, but also the content delivery machinery and thrilling user experience to maximize its potential. Apple was lucky in its enemies during the past decade; engineer- and accountant-driven companies like Nokia and Motorola; rigidly managed Asian vendors like Samsung and LG; PC vendors unwilling to explore new form factors. Apple’s tight integration of software and hardware enabled it to shove aside hardware vendors with limited software expertise. The next round of challengers will be more dangerous. Google is mutating rapidly, still wrestling with the challenge of finding strong hardware partners, but leveraging its search, mapping, advertising and messaging expertise in creative ways. Facebook is rapidly expanding to mobile devices, slowly but surely pushing email and text-messaging aside as it continues expanding deeper into content sharing and delivery. It is against emerging software giants, that integration could turn into a liability. Facebook and Google are spreading into a range of devices cheap and expensive, building user bases that dwarf even Apple. Apple’s next CEO will have to show at least some of the wizardry of Steve when he grapples with the thorny question of how much Apple should open its software world to other vendors and how deep into low-end gadgets the company should push in order to ensure enough market share expansion. Negotiating deals with television and movie industries will be a much harder task now that those industries have seen Apple marginalize the music recording industry. Apple’s canny new software enemies are likely to put up a more spirited fight than Dell or Motorola ever did. Steve Jobs vanquished basically all of his hardware enemies across a spectrum of different industries – he is leaving the new CEO a strong platform to repeat that feat against a wave of software opponents. It is hard to think of any other major CEO of the past century who has left his successor a stronger hand to play. There are some interesting potential side effects of this deal, such as in the broader consumer electronics space. Motorola could help Google turn around the disaster that has been Google TV. Motorola makes a huge percentage of the set top boxes that the cable companies use to push their over-priced content at you. This then brings us to another interesting fall-out of this deal- How will the telcos react to Google taking over the role of content provider as well as the device maker. Google has long harboured intent of becoming a media business with emphasis on the content delivery. Google would still be riding on the Telco pipes, which would further re-inforce dumb pipe syndrome. This deal is just another blow to the traditional telcos, pushing them further towards commoditization and being a pipe. How will they fight back? Is their future only in providing the connection? This will be interesting. HP’s consumer busines foray:its biggest judgement error! Even while some people had some lingering expectation about a fourth front in smartphones and tablets, where WebOS and HP could have played a niche dominated role- HP dropped the ball.HP is not seemingly keen on the consumer space and has indicated that it will discontinue its tablet computer and smartphone products and may sell or spin off its PC division, bowing out of the consumer businesses. HP killing the Touchpad/WebOS, its decision to hive of its PC business and the extreme business re-direction towards selling software solutions, servers and other business equipment to B2B sellers is a fall out of a massive strategy re-think. This is one of the most extreme makeovers in the company’s 72-year history and signals new CEO Leo Apotheker’s most transparent move to date to make HP look more like longtime rival IBM Corp. Unfortunately, it does give a impression that HP for the last some months has been undecided on its future course which is so not good for a business house such as HP. It means that the $1.25 bln it spent in acquiring Palm and the $1 bln restructuring cost booked in Q4 this year has been a drain on the resources and a massive let down for the shareholders. One may argure that all that all this is with a cause of making money in the long term, but it still doesnot take the limelight away from the fact that HP was de-focussed on its intent around consumer markets. HP has allready lost 55% share value from its share price high this February. In as far as Web OS touchpads and the HP series of Smartphones in concerned, it was rather evident even before HP entered the fray, that it was going to be a crowded market and a bloody battle with no easy footholds and quick victories.It is here that HP was the victim of the Apple and Google juggernauts, as iPads and iPhones and smartphones running Google’s Android software have been hot sellers, while HP devices have languished. Why wasn’t HP able to factor that in? In light of the Motorola acquisition by Google, Tech pundits had speculated that rivals HP and Microsoft could potentially capitalize on Google’s acquisition by licensing webOS and Windows Mobile OS out to these manufacturers. HP it seems thought differently altogether. It’s also possible that HP could follow in Motorola’s footsteps, putting its patent portfolio on the market for a hefty sale. That way HP would extract some salvage value from its consumer-business asssets. 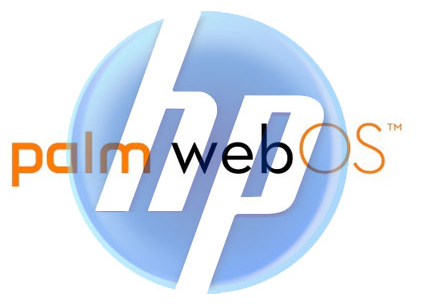 In April 2010, HP purchased Palm in its entirety with the intent of launching a family of webOS devices to compete with Apple. This year, the new owner inauspiciously launched several phones and a tablet, none of which lived up to reviewers’ measured expectations. The first failure of webOS was the original Pre, the Pixi, then of course the Pre 2, the Veer and now the TouchPad.HP possibly reaad the Touchpad and tablets wrong, and had to drop prices by 20% 15 days from launch. The Veer is so small and ergonomically awkward to use that many people were wondering why launch such a device after Microsoft’s fiasco with the Kin line of phones.Developers continued to ignore the platform, and so did customers. HP is officially discontinuing operations for webOS devices, specifically the TouchPad and webOS phones. HP says that it will continue to explore options to optimize the value of webOS software going forward. However, since the prior sentence pretty much proclaims that webOS has no value, this is the same as saying they will multiply X by zero, and see what they get. For many who would have liked to see the emergence of WebOS as a mobile platform underdog—the HP-Palm acquisition was a waste. HP was not able to leverage on any of Palm’s strengths and deliver any thing noteworthy either in smartphone or tablet space. So then, did HP really have any concrete roadmap of what it would have done with WebOS after the acquisition. On Hindsight now, it seems that HP was intent spending $1.25 billion and did so with a lack of clarity and forthcoming thought. 1. Being slightly better isn’t good enough. Reviews back in 2009 proclaimed the Palm Pre better than the iPhone in many ways. But almost every itemized advantage, from multitasking apps to better alerts, were things that could easily be adopted. Both the dominant iPhone and the struggling cub that was Android were able to learn from the Pre’s webOS, and co-opt what mattered. Interestingly, in a year or more time, the WebOS platform did not show any development whereas iOS and Android caught up.Fast forward to this year, when HP introduced a webOS tablet that wasn’t even “slightly better,” by any reviewer’s estimates, and the story just becomes sadder. 2. Fighting the mobile device fight takes limitless resources. I really mean “limitless,” as in, no end in sight. Apple, Google and Microsoft can hammer away for a long time, building device after device, revising software and hardware in the depths of their subterranean laboratories, meeting with partners in secret, all the while filing and acquiring patents and of course, suing the pants off each other. With the exception of perhaps Amazon, not many other companies can do this. HP could have done this, but in light of the current events, it seems that HP’s priorities have changed or at-least shifted. 4. Consumers, like horses, smell fear and desert. The biggest telltale sign that neither Palm nor HP was certain of their joined fate was the dead silence that followed the acquisition. What few phone launches had occurred between summer 2009 and spring 2011 were marginal, and the woulda-coulda iPad killer was nowhere to be seen. So when a company launches a long-delayed product, with a speech full of excuses as to why it’s not better, negative reviews aren’t necessary. The would-be buyers already know to steer clear. 5. HP is in the PC business. It’s very hard for HP and Dell to break free of their Windows roots, because all of their attempts to branch out are effectively funded by Windows PC sales. PC sales are dropping, as the makers and Microsoft itself know all too well, but it still represents billions of dollars in sales, where these nascent phone platforms actually lose money. So for HP to say that it plans to go into the webOS tablet business, at a time when Microsoft is planning to launch its own tablet-friendly version of Windows, represents internal conflict for both the product developers and the bean counters. It is incredibly unfortunate how a large company like HP failed to leverage the power of WebOS and create a future in consumer mobility. Now sure if it was lack of vision and action ensuing from it or it was a change of business strategy that prompted HP to volte-face. However what has happened is that WebOS has suffered as a reason. The best chance for WebOS is if somebody buys it out from HP…. possibly Facebook. The profusion of smartphones and other data centric devices are pushing the limits of network traffic and bandwidth. 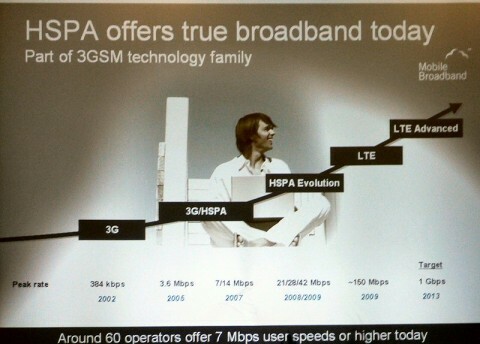 As Mobile networks underwent fundamental changes in the evolution from 1G to 4G. Network speeds, the number of users and the diversity of applications and services have skyrocketed. These changes are forcing operators to rethink their network-management strategies — not a minor tweak, but a major overhaul. Comprehensive network management strategies and services now enable operators to avoid becoming dumb pipes. The first step is completely rethinking how to manage their networks. Before mobile data became popular, operators focused on engineering their networks. Now, operators are shifting their focus from networks to traffic. With infrastructure that provides packet-level insights into that traffic, operators now can identify different traffic types and apply a specific policy to each one. For example, operators can dynamically allocate bandwidth and loadbalancing links to improve latency and throughput. As a result, they can use Quality of (network) Services as a powerful market differentiator. The key is to understand how customers use services and the network resources associated with that usage. Hence the differentiator is based on the network’s ability to gather broader, deeper, real-time information about user sessions. This allows operators to engineer applications, including managing traffic and dynamically provisioning resources, to ensure all applications deliver the best possible performance. Operators also can use the network’s awareness of user content and context to deliver services tailored to each subscriber’s usage patterns. For example, operators might create a service targeted at parents with family payment plans so they can monitor their children’s activities. Another service might cater to users who watch a lot of video on their devices by prioritizing video over other applications. These are few examples of how application engineering enables operators to reduce costs, create additional revenue streams and improve the user experience. • Visibility. See exactly what applications customers use, where the network hot spots are and what’s causing those hot spots. • Control. Prioritize traffic, set policies and block traffic, if necessary. • Optimization. There are 2 aspects of optimization. The first is capacity and efficient use of network resources. The second is optimizing the quality of experience for users. Using an intelligent/smart networks operators can offload up to 70% of Internet traffic at the network edge. That offload increases core network efficiency, improves the user experience and reduces CapEx by up to 50%. This approach enables operators to use their resources more efficiently and apply the packet core platform/network based intelligence to dynamically offload traffic. The smart networks take the operators out of the unsustainable dumbpipe business. and helps them reduce expenses, create new revenue streams and strengthen profitability. Just as important, it makes it possible to engineer and optimize the user experience. That translates into stronger customer loyalty. Google says they will continue to run Motorola as a separate business. Again, given its size, that’s about all they can do. Google also says that this will not change their commitment to Android being “open” and to their other OEM partners. Another compelling argument in favour of the Google-Moto deal is that, this is a strategic buy for Google in order to exert more control over the Android eco-system. Google says they will continue to run Motorola as a separate business. Again, given its size, that’s about all they can do. Google also says that this will not change their commitment to Android being “open” and to their other OEM partners. Many including myself, however, believe that it will not be very practical and possible to keep the Android “open” and as impartial given the $12.5 investment in Moto. Beneath all the sweet talk with the other partners, all the larger partners of the eco-system are disingenuous with their positive statements and sentiments. Carrots rarely work in the “open” Android eco-system. With Motorola in their back pocket, Google now has another stick to use when the carrots don’t work: Control on the Google device. With Moto, Google has the capability and competence in devices, which in turn is pretty handy to apply to pressure the other OEMs to force them to do better work. 1. The OEMs were not dumb not to have anticipated this move. Thus Samsung moved into making the Bada. 2. The World of OEMs would now split into Loyalists (Moto for Android, Nokia for Microsoft) and the multi-platform vendors (Samsung, HTC, SE). This move could drive some of those OEMs to give a second look at Windows Phone as Android alternatives. Microsoft will have to deliver a truly competitive consumer mobile operating system to take advantage of this opportunity and chip away a few of the big OEMs from the Android camp. With the loyalists (Samsung, SE and HTC) now moving into frienemy space, Android may loose some momentum in the numbers that it kept on pilling for sometime now. The decider or qualifier for Android’s success will be the pace of Android’s extension across multiple other platforms, eco-systems and device categories. For instance, Google TV will necessarily have to fire to keep the Android registers ringing… V2V systems will be another decider in terms of number of Android activations. The trade-off that Android will have is its capability to extend across platforms versus the rate at which its partners desert it. On one hand, Google and the Android OEMs share the common objective of maximizing Android activations. However with this one deal, Google is now a powerful, wealthy competitor, one that is impatient with the long lead times in the hardware business. Nexus Prime is the next Google Flagship smartphone on the horizon.. and while Google maintains that the vendor for each of its Smartphones is chosen through a democratic process, and the process might as well be as democratic as ever, Google’s acquisition of Moto gives it the necessary competences it was lacking in devices. One way or another, the existence of Motorola as a Google company is going to affect Android and its current device partners. The key here is Control. After all, its the tight control over both hardware and software is what allows Apple products to be Apple products. Earlier, Google used to not care about design, but now is starting to which is why the Nexus series was born in the first case. I suspect Google’ll (or already has) start to care more about full control over their products — both hardware and software. They’ll see that the overall consumer experience is tied to both — they’re not mutually exclusive. And Motorola gives them the opportunity to fully explore this. An integrated offering is the new mobile nirvana. Apple controls the software and hardware for its phones. Android from Google is popular but splintered. Google can now set a hardware/software agenda. Also doing rounds is the rumour that Google is working at making an ad sponsored software model for mobility. Moto can provide a platform for sponsorship. The Moto-Google partnership can also provide an ideal integrated platform for the go-to-mobile video solution that is being prepared by Google for YouTube. Google’s penchant for control of the device experience is a great initiative. However, how it goes down with its current partners is an answer that will unfold in times to come. This deal is clearly about patents. If Motorola didn’t have thousands of patents, there is no way this deal would have happened. For Google to have bid 63% premium for Motorola (at $12.5bn with a $2.5bn disengagement penalty), inspite of the fact that Moto is loosing money, is doubling Google’s headcount and is in a severe quagmire in terms of lawsuits, patents have been the overwhelming cause. In losing the Nortel patent auction to Apple, Microsoft, RIM, and others, Google lost out on 6,000+ patents. With a battle over the InterDigital patents just getting started, there was a pretty decent chance they were going to lose another 8,800+ to their rivals. But with the Motorola buy, Google gains at least 17,000 patents. And if some other applications go through, perhaps as many as 25,000 patents. In one fell-swoop. Crazy. It raises Google’s patent pool from around 2,000 — over 1,000 of which are from a deal they just did with IBM — to around 20,000. That’s around what Microsoft has. And nearly double what Apple has. However, its not the number. Motorola’s patent pool may not go far enough to cancel out some key patents owned by Google’s main rivals: Apple and Microsoft. 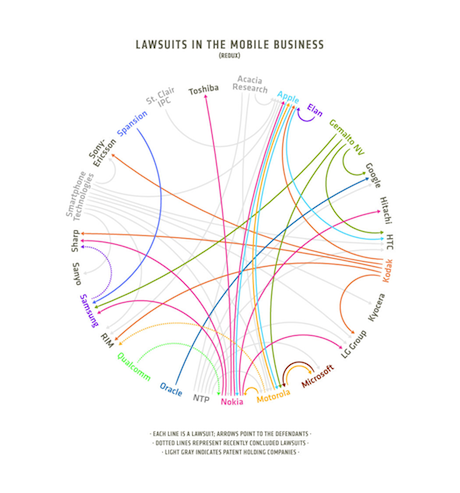 Apple and Microsoft, have the upper hand in most of the critical patents. That is something that the Google lawyers will have to figure out in terms of defending the Moto patent turf. In any case, 17,000 is a leverage and Google has the capability for to better leverage that number compared to Moto. It can also be seen as defensive strategy from Google. Google buying Motorola out could also be a response to stop Moto from settling with Apple and/or Microsoft on the patent issues. Such a settlement would have been a big blow to the entire Android ecosystem. Perhaps not quite as bad as Samsung agreeing to license patents from Microsoft (joining HTC and others), but bad. Microsoft was also negotiating to buy at least Motorola’s patent portfolio. Google’s acquisition could also drive its competitors into buying frenzies of their own. RIM suddenly becomes very valuable for its patent horde. HP, Apple or Microsoft should quickly move to buy RIM for its patents and also [BlackBerry Enterprise Server], the crown jewel.